Vantage Bay Iskandar Condominium near CIQ New Launch Property 2014. 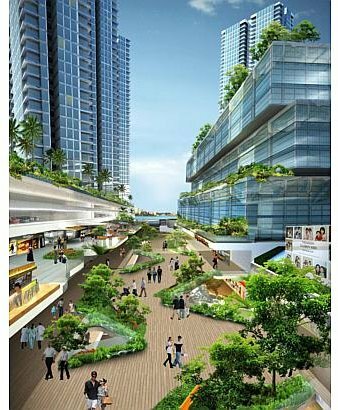 Vantage Bay Iskandar, Puteri Harbour property new launch. Vantage Bay Iskandar at Johor Bahru central near CIQ, most anticipated integrated development with medical hub by Rowsley part-owned by Singapore billionaire Peter Lim to launch soon. Vantage Bay Iskandar by Rowsley, part-owned by Singapore billionaire Peter Lim, the most anticipated integrated development to launch soon. Vantage Bay at Iskandar, an integrated township project comprising of condominiums, mega mall, hotel and office towers by Singapore-listed Rowsley, part-owned by billionaire remisier Peter Lim, will be built over a 9.23 hectare ( close to 1 million square feet ) of land equivalent to the size of 13 international soccer fields. It is located in Johor Bahru city centre just 1km from the customs, immigration and quarantine complex in Malaysia's bustling Iskandar where the future RTS train station with link to Singapore MRT in woodlands will be. Get ready to be captivated by Vantage Bay architecture as it is designed by RSP Architects Planners & Engineers, Singapore's oldest and leading architect firm which was just appointed to undertake the iconic Jewel project in Changi. Architecturally Vantage Bay is expected to be a stunning iconic development in the creative hands of RSP Architects Planners & Engineers, Singapore's oldest and leading architect firm which was just appointed to undertake the iconic Jewel project in Changi. With an expected plot ratio of 11, Vantage Bay at Iskandar development will feature a twin tower set to become one of the tallest condominiums in Malaysia, offering stunning views of the Strait of Johor and northern Singapore's skyline. It will also feature a mega mall, with a net lettable area of one million sq ft comparable with VivoCity Singapore largest, and hotel and office towers. A medical hub run by Thomson Medical Hospital will also be connected to the mall, which will include medical suites and step-down care like apartments. A major bonus would be that Singaporeans and Malaysians with Central Provident Fund accounts will be able to utilize their Medisave reserves to pay for treatment at the new hospital as they will be able to obtain referrals from Thomson Medical Centre Singapore. Thomson Medical is part-owned by Mr Lim and Johor's royal family while the Vantage Bay site is 70 per cent owned by Mr Lim and the rest by Johor royalty. 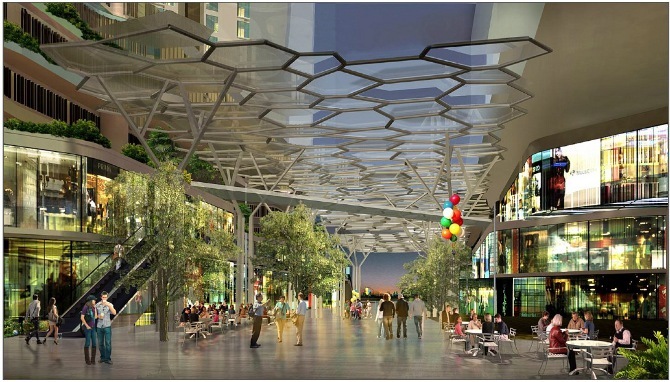 To complete the seamless experience of a truly integrated township there will be open space with cover walkways in the centre with lots of greeneries and "Clarke Quay" like alfresco dining outlets that will energize the night. The whole project is expected to take 10 years to complete. The Vantage Bay condominium will be launched for sale by the first quarter of next year according to Vantage Bay chief executive and Rowsley executive director Ho Kiam Kheong.